In 2010, Fletcher was diagnosed with chronic lymphocytic leukemia. Within 6 months of starting treatment, his disease was in remission. But this good news did not last as he relapsed just 9 months later. He began treatment again, but the results were poor: Fletcher developed congested lungs, a persistent cough, and cataracts that left him temporarily blind. So, his doctor proposed a different treatment. Exhausted, but hopeful, Fletcher was ready to try the new drug until he heard what it would cost him—$2310 out of pocket (OOP) for just one month of treatment. His best chance of survival would consume nearly his entire month’s take-home pay. It was not long before Jody’s medical bills ate through her family’s savings following her diagnosis with acute lymphoblastic leukemia in 2009. To keep her cancer in remission, Jody is taking a kinase inhibitor that she will likely need for the rest of her life. But when she went to pick up her first dose at the pharmacy, she, too, was shocked to learn how much that lifesaving drug would cost her —$5640 for the first month alone. Everything that she and her husband had put away for their children’s college educations has gone to keeping Jody alive. Besides leukemia, Fletcher and Jody have something in common: they have had health insurance throughout their cancer treatment journey. Yet, because of the high cost sharing associated with their medications, Fletcher and Jody have faced profound difficulty accessing the treatments prescribed for them. Over the last decade, employers and other providers of health insurance have shifted more costs onto patients due to a multitude of factors that includes the rising cost of healthcare services. This trend is especially troubling for patients living with a blood cancer diagnosis, since available treatments typically consist of high-priced specialty drugs and other cost-intensive healthcare services. A common discussion with this cost-shifting trend is the steady increase in consumer premium payments, as employee premium contributions have increased 83% since 2006 (compared with a 54% increase for employers over the same period). Although premium increases have captured the headlines in recent years, the rising OOP costs that patients face, after they pay their premiums, have proven to be even more dramatic (FIGURE 1). In 2003, almost half of patients in employer-provided insurance had no deductible to cover. Ten years later, less than 20% of patients had the same benefit. In fact, as insurers have recognized that increasing deductibles can discourage consumers from accessing their benefits, plans have accelerated this trend. In 2015, the average deductible in an employer-provided insurance plan had increased more than 250% from a decade earlier—increasing 3-times faster than premiums over the same period. Of specific concern to blood cancer patients are benefit designs that increase the portion of drug costs borne by consumers. 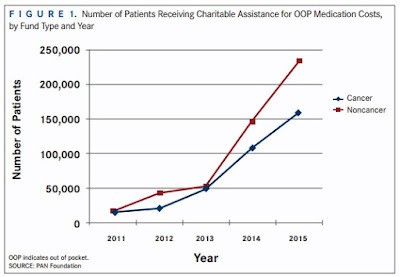 This trend is particularly striking in the Medicare Part D marketplace—in 2015, every stand-alone prescription drug plan had adopted a “specialty tier.” Placing a drug in a specialty tier allows the plan to charge patients a percentage of a drug’s list price rather than a fixed dollar amount and simultaneously prevents a patient from accessing Medicare’s cost-sharing appeals process. The impact on affordability is reflected in increases in the number of medications placed on the specialty tier each year. 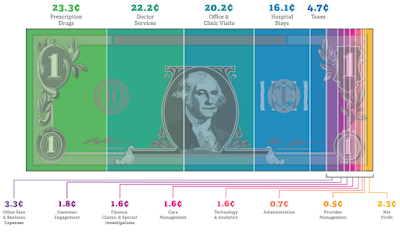 In the past 4 years alone, Part D plans have shifted 50% more drugs onto their specialty tiers,3 subjecting many patients relying on those medications to thousands of dollars in additional cost sharing. Every day, across the country, blood cancer patients face decisions that pit their health against their family’s finances. And while policy makers, payers, and drug manufacturers engage in debates on drug pricing and a host of related topics— debates that seem far from reaching a productive resolution— patients, like Fletcher and Jody, struggle day to day to access critical medications. Evidence indicates that once cost sharing exceeds $100, adherence to prescribed medications begins to drop off significantly likely due to the trade-off between paying for medical care and the prospect of damaging the family’s financial stability. Data also show that decreases in adherence correspond to worse outcomes and increases in costly medical interventions that, in many cases, could have been avoided with proper adherence. It is unacceptable and tragic when a patient knows that a potential cure is waiting behind the pharmacy counter but cannot receive it due to his/her inability to pay. 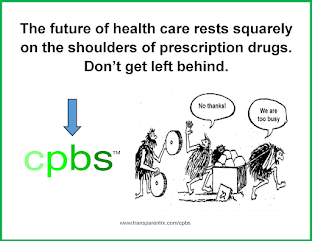 Calling on the pharmaceutical and biotechnology industries to share real-world quality of life and outcomes data to support the pricing for their medications. We are confident that by collaborating with key stakeholders we can dramatically improve patient access to these important therapies.